In response to a well-established fact that the Lone Star state is understaffed with the medical professionals it needs to adequately care for its population, academic institutions throughout the state of Texas have worked steadily to encourage math and science skills at the elementary and high school levels, and bolster enrollment and educational opportunities for medical students across the state at both state-run and private universities. While there have been plenty of stories about rising stars in the research field, Texas schools have also done their part in encouraging and educating the next generation of nurse practitioners as well. Recently, BioNews Texas highlighted encouraging news that the UT Health Science Center San Antonio School of Nursing earned its 5-year Doctor of Nursing Accreditation back in January, as well as more recent news that Dr. Eileen Breslin, the current UTHSC School of Nursing dean and professor, has been selected as the new president of the American Association of Colleges of Nursing (AACN). Now, Las Palmas Del Sol Healthcare has announced that 33 nurses from its current staff have graduated from the institution’s nurse residency program, which is a graduate program that provides education and hands-on training to further support nurses’ practical skills. According to a recent press release, The graduates from the first and second cohorts of the program recently finished their studies on March 27th and were honored in a graduation ceremony. 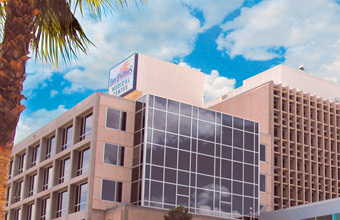 What is significant to this program is that it is currently the only program of its kind offered in the El Paso region, as well as the fact that the program is administered through a partnership with area medical schools that include the University of Texas at El Paso, Texas Tech University Health Sciences Center Gayle Greve Hunt School of Nursing, and New Mexico State University. Las Palmas Del Sol Healthcare is a major healthcare provider in El Paso, operating east and west side facilities, and offering comprehensive medical services that span virtually every facet of healthcare. The organization’s commitment to continuing education for nurses at its two hospitals is yet another example of the state’s overall effort in the medical community to increase the quality and longevity of medical services for Texas residents.